The presence of at least 1 cardiovascular morbidity was associated with elevated mean low-frequency pure-tone average of 42.4 vs 36.9 decibels hearing loss. 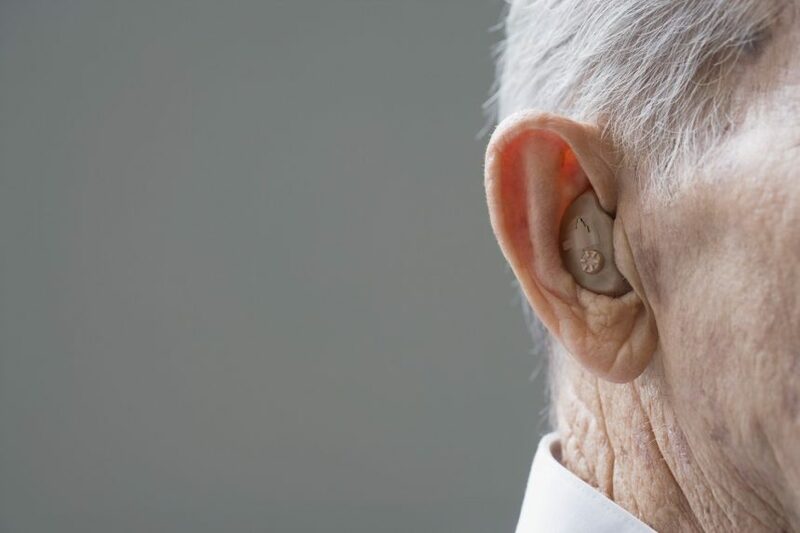 Elderly patients aged 80 years and older have an increased risk of developing cardiovascular disease (CVD) with worse hearing as well as hearing deterioration, according to a study published in JAMA Otolaryngology–Head & Neck Surgery. Kapil Wattamwar, MD, from the Yale School of Medicine in New Haven, CT, and colleagues, conducted a retrospective review of medical records for 433 patients between the ages of 80 and 106 years to investigate the association of CVD-related risk factors with auditory function. Criteria for participation included having an audiogram on file in the Department of Otolaryngology–Head & Neck Surgery and being older than 80 years at the most recent audiogram. Patients with retrocochlear disease (eg, vestibular schwannoma) or any noncardiovascular diagnoses that may impair hearing such as connective tissue disease (eg, Alport syndrome, Paget disease of the bone) were excluded from the study. Hearing loss data collected from each audiogram included hearing thresholds measured in decibels hearing level (dB HL) at 0.25, 0.5, 1, 2, 3, 4, 6, and 8 kHz, as well as the word recognition score (WRS). Comorbidities investigated were all forms of cardiovascular disease or risk factors (CVD): (1) coronary artery disease (CAD); (2) diabetes; (3) history of cerebrovascular accident (CVA); (4) hypertension; and (5) smoking. Rate of hearing loss was also determined. The search identified 433 individuals; mean age, 89 years. A total of 359 patients (83%) exhibited sensorineural hearing loss. The remaining 74 (17%) had mixed hearing loss. Hypertension was the most prevalent of the comorbidities (319 [74%]), while CVA was the least (52 [12%]). Of the 433 individuals, 96 had 2 audiograms performed at age 80 years or older from which the rate of hearing loss could be calculated. The presence of at least 1 cardiovascular morbidity was associated with elevated mean low-frequency pure-tone average (LFPTA) of 42.4 vs 36.9 decibels hearing loss (dB HL), a difference of 5.47 dB HL. Among the 96 patients with 2 audiograms performed at age 80 years or older from which the rate of hearing loss could be calculated, 32 patients had CVD or related risk factors and 64 were healthy controls. Those with at least 1 disease had accelerated hearing loss. Patients with cardiovascular morbidity experienced a faster mean decline in LFPTA of 1.90 vs 1.18 dB HL/y, a difference of 0.72) dB HL/y. Of the conditions studied, CAD had the highest association with audiometric thresholds and was associated with hearing loss at all frequencies tested and with poor word recognition score. Hearing loss was more strongly associated with CVD risk factors in men than in women. “In the older old, CVD was associated with low-frequency hearing loss, increasing not only hearing thresholds, but also the rate at which hearing worsened,” the authors concluded.